Ever wonder what continuous leg kicks from the world’s best featherweight will do to your thigh? 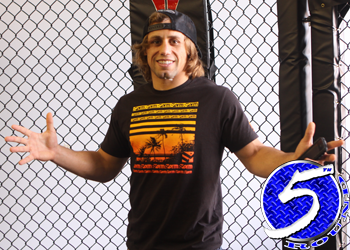 Well former 145-pound champ Urijah Faber has posted a video of the damage one day later, and it ain’t pretty. Immediately following his unanimous decision loss to Jose Aldo at WEC 48, Faber shared a picture of what the Brazilian had done to his lead-left leg in Saturday night’s main event. In today’s video,”The California Kid” is seen getting help from Master Thong on his badly bruised and swollen left thigh. The doctors told Faber to put a lot of ice on the leg, but Master Thong says that hot water and salt is the way to go, so what’s he to do? As you’ll see in the footage, Faber’s spirits are still high even though he lost another opportunity to regain the belt that he so desperately wants back.